Step inside Park Van Ness and see why this is one of the most exciting Washington DC apartments on the market! The friendly mix of young professionals and small families gives Park Van Ness an energy that is undeniable. Maybe it’s the rooftop pool that overlooks Rock Creek Park that gives Park Van Ness it’s first-class feel. 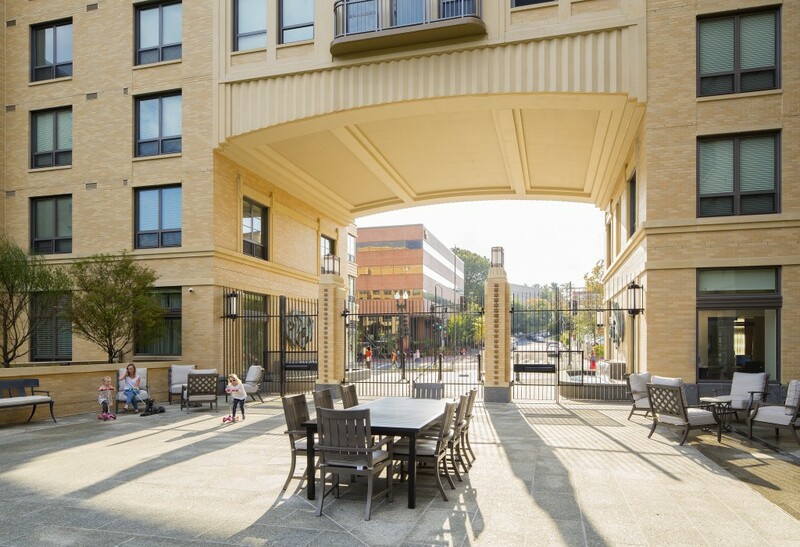 Maybe it’s the residents and their friends gathering at one of the many community spaces like the rooftop terrace that gives Park Van Ness it’s signature style. Whatever it is, you’ll have to experience it for yourself to really understand the magic at Park Van Ness. Park Van Ness is the ideal mix of luxury and modern amenities. Luxury comes in the form of high ceilings, huge windows overlooking Rock Creek Park or Connecticut Ave., and elegant lighting in both the building and in every apartment. Looking for amenities outside of what you might expect in other Washington DC apartments? How about a rooftop pool, rooftop lounge, maple wood flooring in all the apartments, and stunning bathrooms with marble flooring? If you’re looking for an apartment in Northwest Washington, you have to see Park Van Ness. With one, two, and three bedroom floorplans to fit your needs, there is no way you’d leave without being impressed. Each unit has spacious living areas and enough storage to house all of your belongings. We have a wide variety of floorplans to choose from, you can get exactly what you want when searching for your Washington DC apartment. For anyone who appreciates a little green space in their lives, residents at Park Van Ness have access to Soapstone Valley Park and Rock Creek Park — it’s practically your backyard after all! With miles of jogging and bike trails, as well as some off-road hiking trails available, you’ll have a whole new way to explore your city while being close to home. If you think Park Van Ness might be right for you and your family, stop by or visit the contact page to schedule a tour.